by Richard B. Joelson, DSW. Category: Public, Relationships and Family Issues. Many seeming requests for advice actually are not. Perhaps surprisingly, unsolicited advice can actually harm a relationship rather than strengthen it. It is important to ascertain from the outset whether someone is asking for direct help or an attentive ear. How do you respond when confronted with a dilemma by a friend or other close person? Linda: It’s really expensive living in New York and I’m really worried about whether or not I can continue to survive here. I’ve got some important decisions to make. Friend: Why don’t you just ask your father for money? Sal: I’m having trouble taking off my wedding ring even though my wife died over a year ago. It feels like a betrayal or an act of disloyalty to put it in a drawer after 25 years of marriage. Colleague: I don’t think it’s disloyal. I think it’s time and you should remove it already. Adam: My girlfriend and I are having trouble getting along. I’m worried about whether or not we are going to be able to work things out. Sister: If it’s that hard, I think you should end it and find someone else. When these types of responses occur, often I hear that they are not welcomed by the recipients since their comments were not intended to be invitations for opinions or advice. These are examples of unsolicited advice: which may have the unintended effect of stressing the relationship. I think that there are a few things involved in exchanges like these. Many people immediately assume that when a friend or family member shares a difficult life situation, it is a request for help and problem solving. Often, this leads to advice that is primarily reactive, not particularly thoughtful, and, most importantly, unsolicited and, quite possibly unwelcome. If the recipient of our help reacts with anything other than gratitude, we may feel unappreciated even though the advice was not what was really being sought. Linda did not need her friend to suggest a solution, especially since this was not someone she was particularly close to, which was probably why the friend did not know that Linda and her father had not spoken to each other in fifteen years. Sal shared his dilemma about his wedding ring to converse with a colleague about what he believed to be a difficult quandary. He, too, told me that he was not interested in being told what to do. Similarly, Adam was telling his sister about an upsetting struggle in his life and said that he was only seeking an opportunity to have a useful discussion with a close relative. He told me that his sister’s surprising advice, which felt abrupt and thoughtless, instantly disqualified her as a future emotional resource. I think what happens in these types of situations is that the listener instantly assumes that he or she is being asked for something and feels compelled to give it. We all understand that problems need to be solved and eliminated so often it is assumed that advice in the form of a spontaneous solution can only be helpful in order to relieve the sufferer of their trouble. People often get very invested in the advice that they give and have difficulty understanding why the recipient does not accept and implement it. We don’t like feeling passive or inactive when there appears to be an opportunity to be giving and helpful. For some, their self-esteem seems to be on the line, i.e. if their advice is accepted – regardless of whether or not it was sought in the first place – they feel valued and important. If, on the other hand, their advice is not seriously considered or not followed, they might feel rejected and devalued. 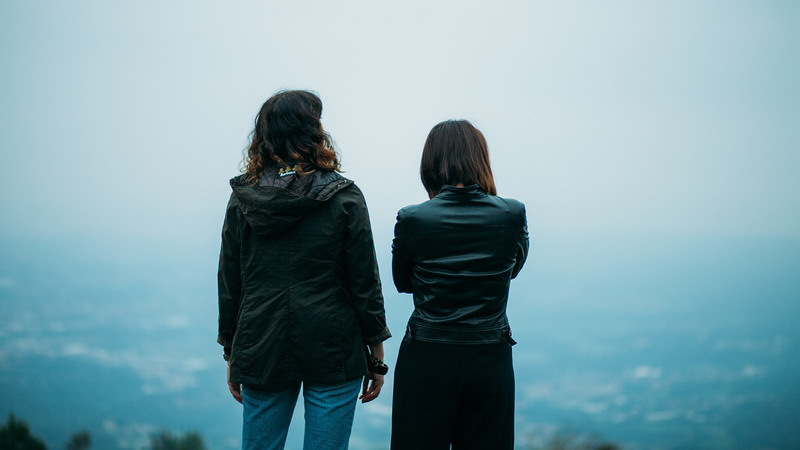 Many people, when asked, acknowledge that when they share a dilemma or struggle with a friend, they are really just wanting to talk to someone whom they feel cares about them and will listen to them. This, at times, seems more important than finding an immediate solution to their problem. People often find their own solutions when they have an opportunity to express their feelings in an atmosphere of acceptance, patience, tolerance, and support. Active and attentive silence may, at times, be more helpful than anything one can say or do to help another. When I am on the receiving end of an exchange with a family member, friend or colleague who is sharing a problem of some kind, initially I do what I do in my role as a psychotherapist. I listen attentively in the hope that doing so will prove meaningful and supportive. I have observed that someone’s sharing is often exactly that and nothing more. If not accompanied by such comments as, “What do you think I should do?” or “What would you do if you were me?”, I assume that this indicates the speaker is primarily interested in my ear and less so my mouth. Sometimes in those moments, however, I might seek an invitation to share my thoughts. If, when I ask, “would you like to hear my thoughts about your situation,” I get a “yes,” then I believe the welcome mat is out and my comments will be considered. It is always a good idea to ask before offering advice.